The <alwaysAllowedUrls> element contains a collection of <add> elements that specify URLs that request filtering will allow, which override the values in the <denyUrlSequences> collection. IIS 10.0 The <alwaysAllowedUrls> element was not modified in IIS 10.0. 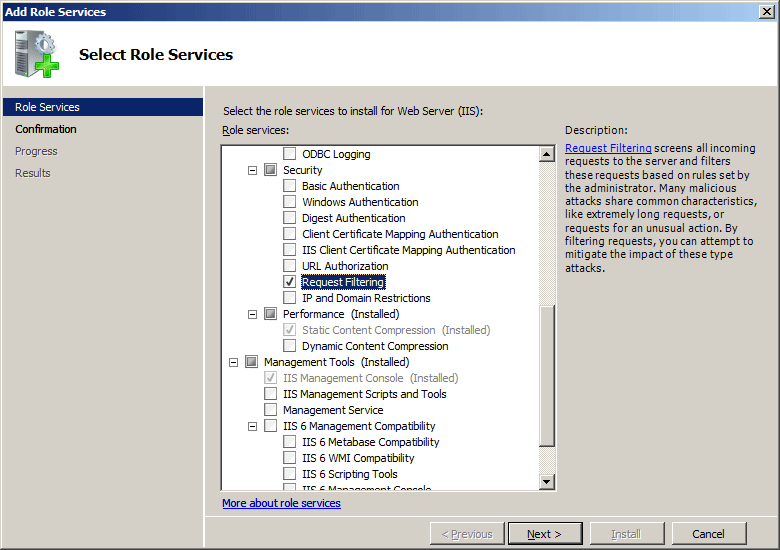 IIS 8.5 The <alwaysAllowedUrls> element was not modified in IIS 8.5. 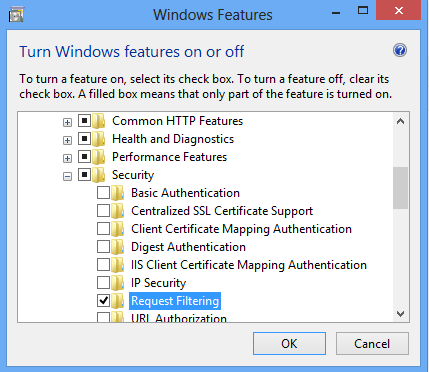 IIS 8.0 The <alwaysAllowedUrls> element was not modified in IIS 8.0. 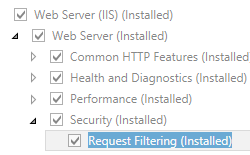 IIS 7.5 The <alwaysAllowedUrls> element of the <requestFiltering> element ships as a feature of IIS 7.5. 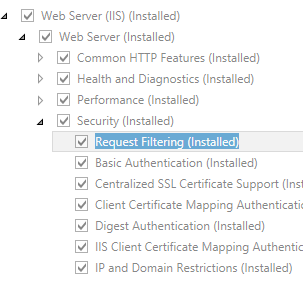 IIS 7.0 The <alwaysAllowedUrls> element of the <requestFiltering> element was introduced as an update for IIS 7.0 that is available through Microsoft Knowledge Base Article 957508. 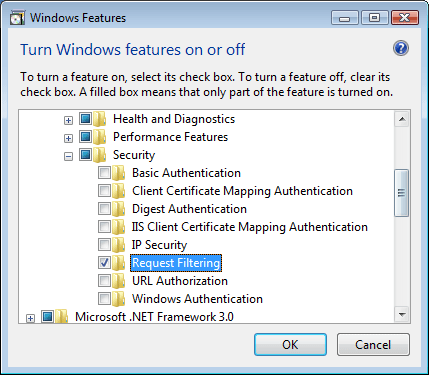 The <alwaysAllowedUrls> element of the <requestFiltering> element is configured at the site, application, or directory level. 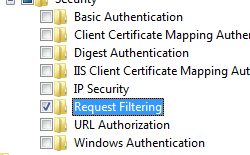 Adds a URL to the collection of URLs that request filtering will always allow. 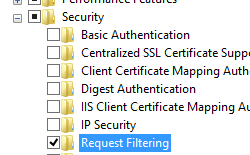 Clears the collection of URLs that request filtering will always allow. 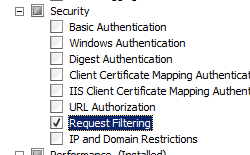 Removes a URL from the collection of URLs that request filtering will always allow.